Our rigorous academic curriculum follows guidelines established by the Diocese of Camden Office of Catholic Schools. Those guidelines build on the strong academic tradition of Catholic schools, incorporate national and state curriculum standards, and allow us to bring the Gospel message of Jesus into all facets of learning. We believe in educating the whole person. Our students consistently score in the 80th and 90th percentiles on the IOWA standardized test. We know this is a direct result of the learning environment that our faculty and staff strive to create each day empowering students. Our 2018 graduates earned over $50,000 in scholarships and awards for achievements academically, spiritually and socially. Individual attention, parent involvement and a faith-based approach are the keys to our success. 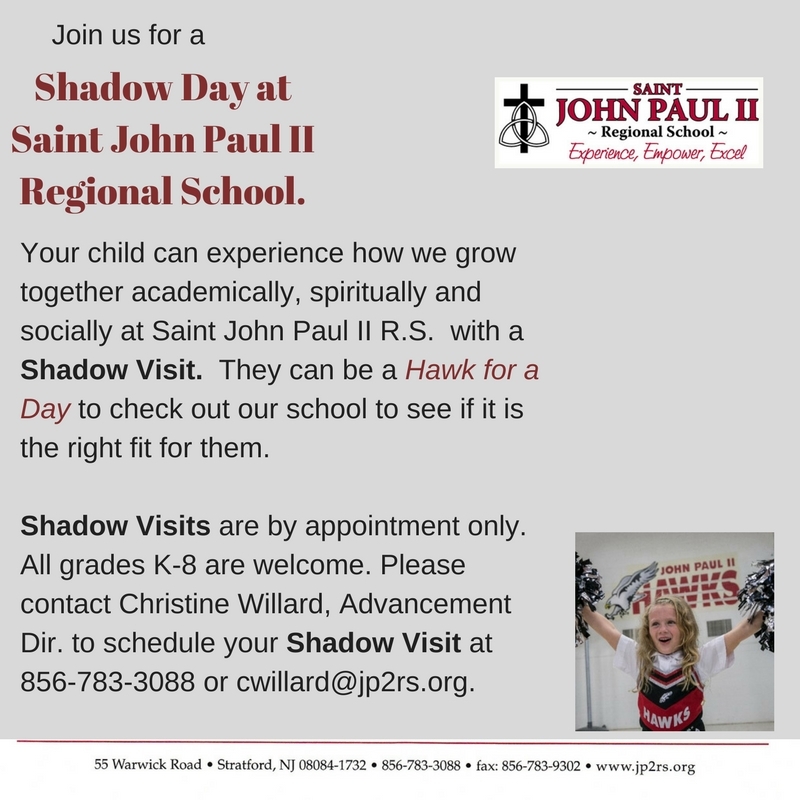 Please call our advancement director, Christine Willard at 856-783-3088 or email cwillard@jp2rs.org to arrange a tour of our campus and learn more. "I deeply admire John Paul II school for its commitment not just to education, but to family. Our son David had made tremendous progress within only one school year. This school lives out its faith in the lives of our children everyday. They are 100% committed to our children. Thanks to Mrs. Persing and her great faculty."